LVM Nature Park in Tērvete is the best and friendliest place for a family with children and those who know how to see the world through the eyes of a child, rejoicing at the interplay of nature and fairytales. The Fairytale Forest, the Playground and the Dwarfs’ Forest enjoy the biggest popularity. Tours of these thematic areas take at least three hours. More than a hundred wooden sculptures and statues can be found in the park – Sprīdītis (Tom Thumb), giant Lutausis, the Forest King and his court, little Annele with her friends, dwarfs and “live” fairytale characters – crafted after the fairytale plays by the famous Latvian writer Anna Brigadere. You will also learn about the might of the ancient Semigallians, bringing back memories to modern generations when climbing up the three ancient castle mounds. At the Playground, where a recreational area with benches, tables, shelters and swings has been set up, you will be able to enjoy your home-prepared meals. You can also take a ride on the Fairytale Train, cycle, Nordic walk or leisurely stroll among the park’s stately pines. LVM Nature Park in Tērvete are many paths what are appropriate for people with disabilities and for parents with prams. Very friendly relief of paths are in Dwarfs` Forest. With personal assistant for people who use special medical equipment, it is possible to visit also other parts of Park. Do you crave challenge and fun? Join the Skyways of Lucky Land ("Laimīgās zemes Gaisa takas") for a thrilling adventure high up in the trees! Find for more information! 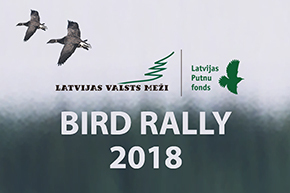 The LVM Nature Park in Tērvete has been recognized as the most excellent European tourism destination in Latvia within the framefork of the EDEN project. We invite you to enjoy the wide variety of dishes at “Mammadaba” café. Address: "Tērvetes sils", Tērvete District, Latvia, LV-3730 (56.487623, 23.373337).